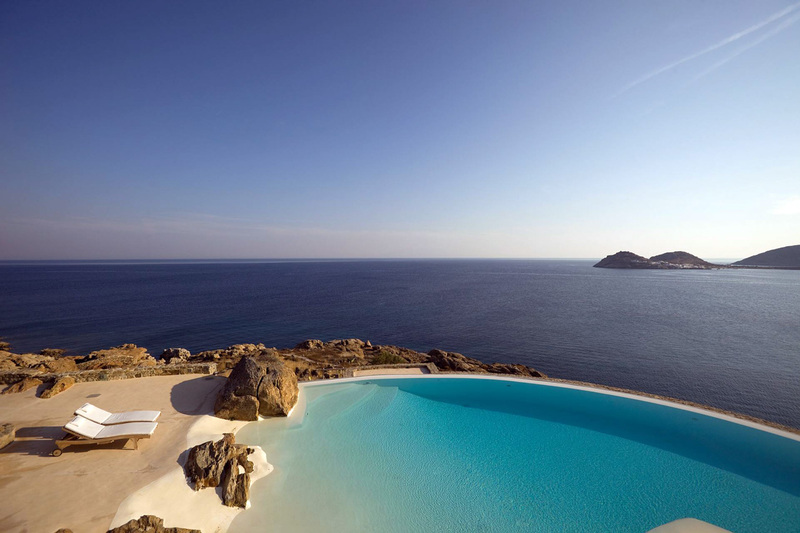 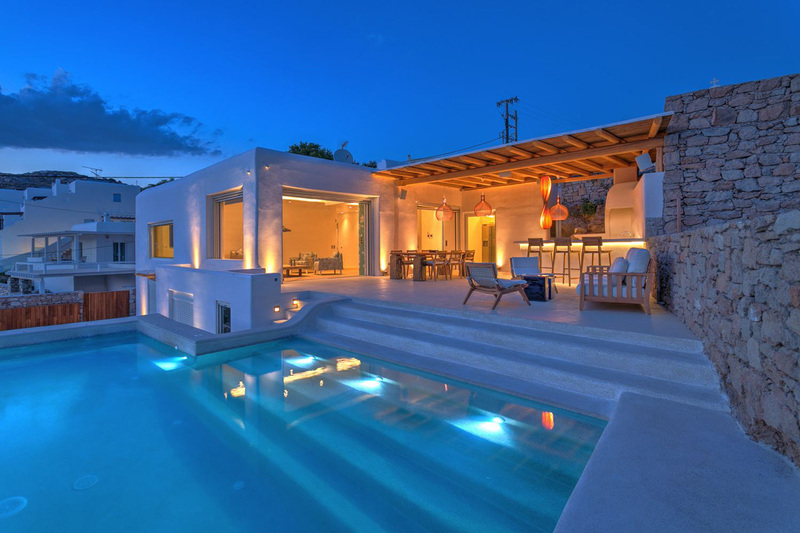 10 Guests, 5 Bedrooms, 5 Bathrooms, Pool, Terrace, Sea Views, Beachfront. 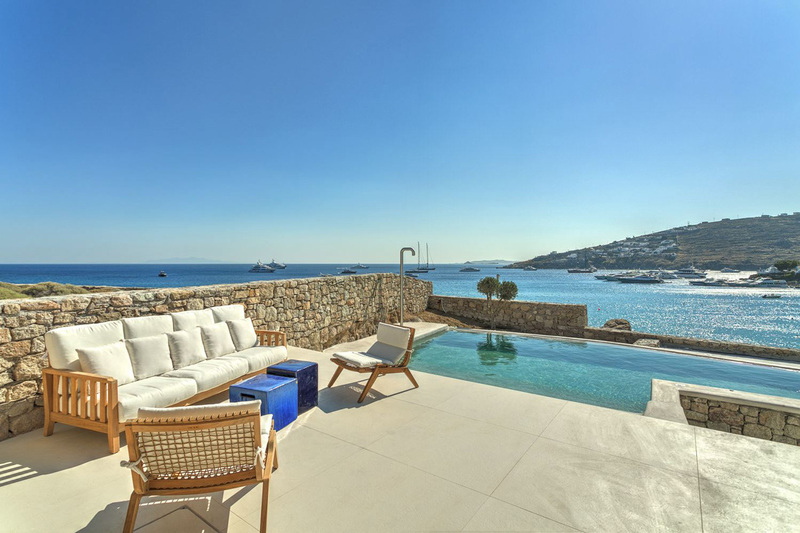 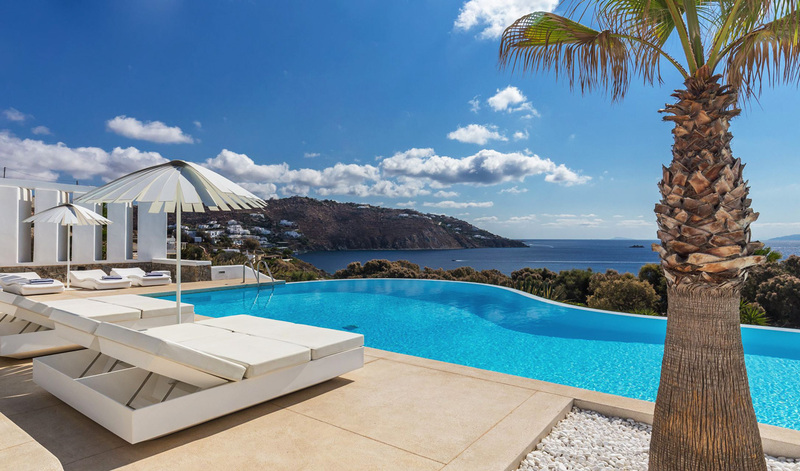 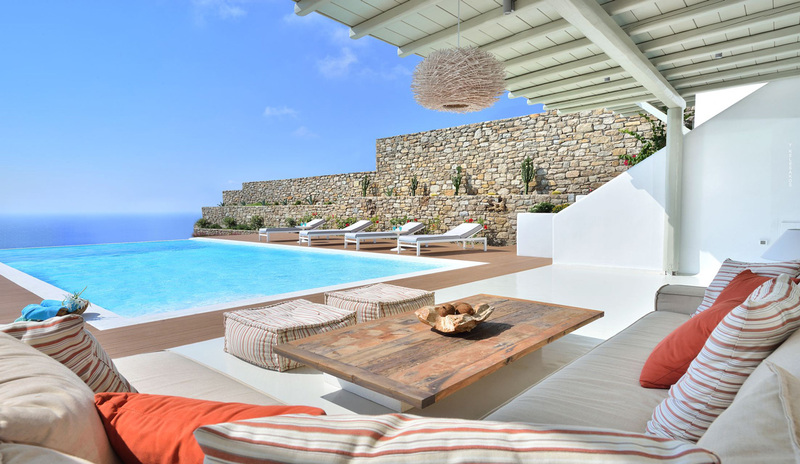 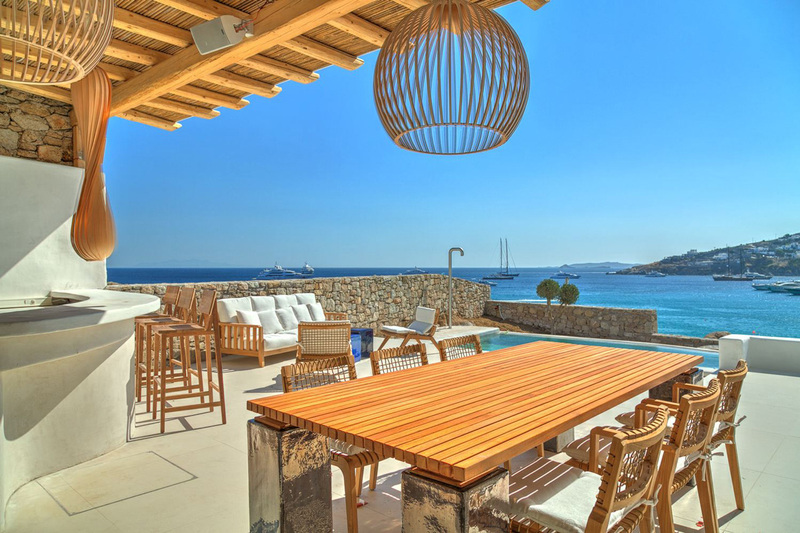 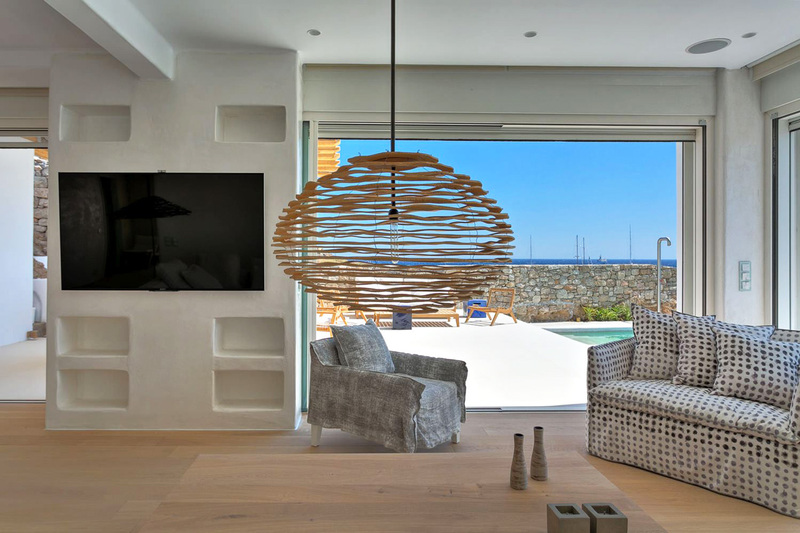 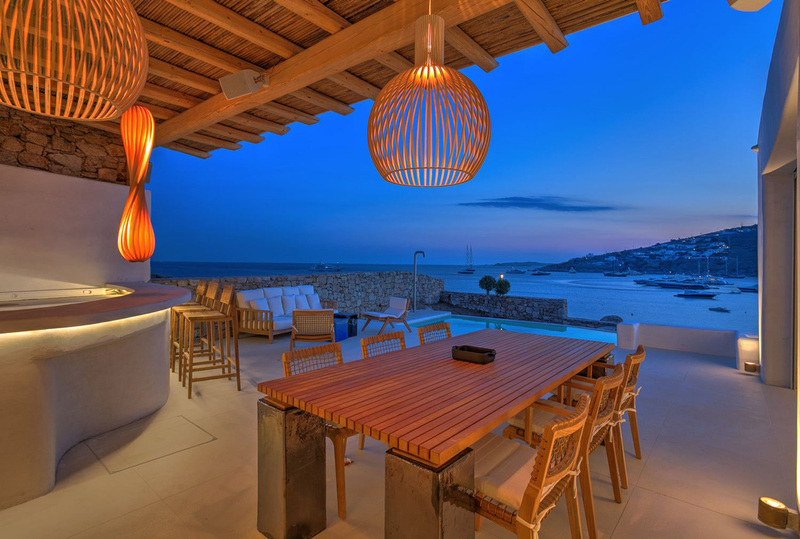 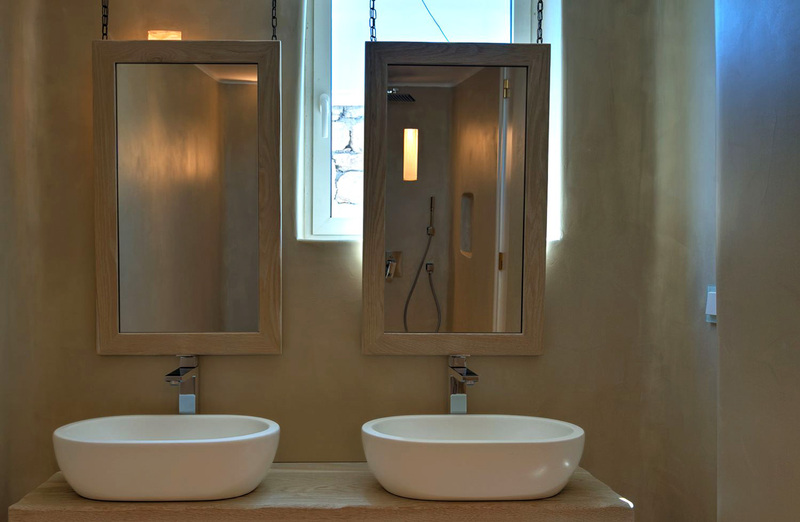 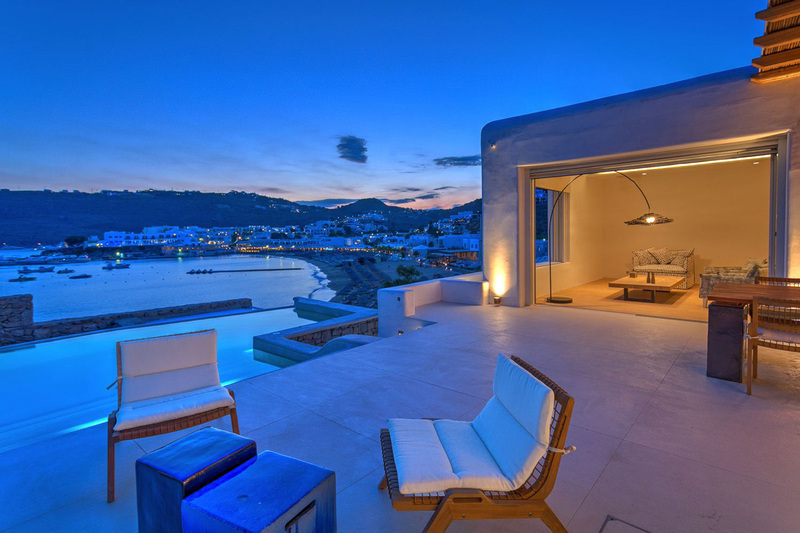 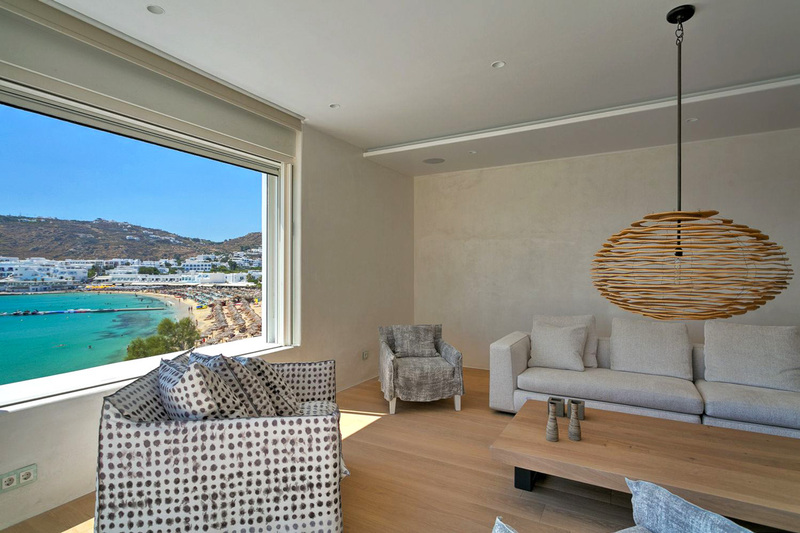 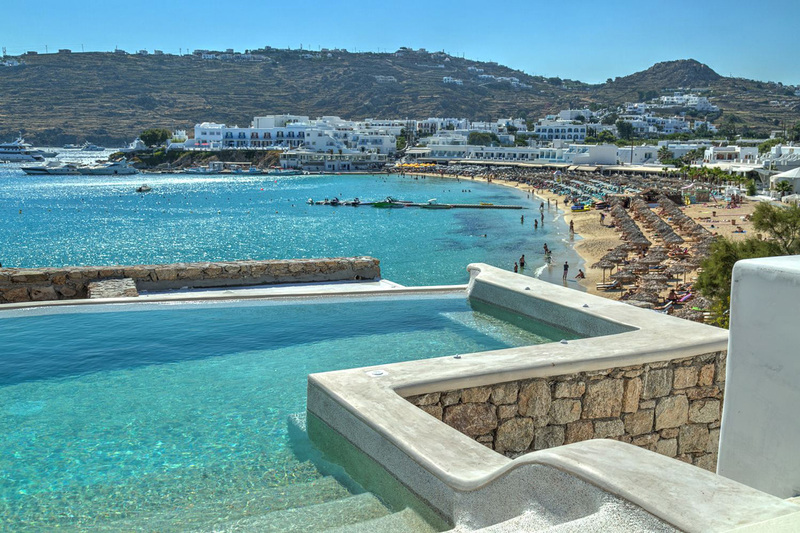 Contemporary villa for rent directly on the kid friendly Platis Gialos Beach, Mykonos, welcoming up to 10 guests with it's 5 bedrooms, 5 ensuite bathrooms, pool, terrace and great sea views for your summer holidays in the Greek Islands! 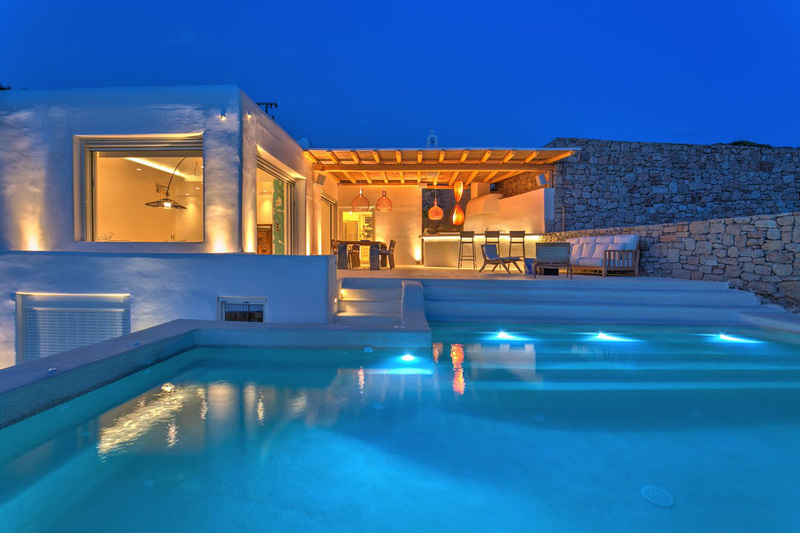 Love pure lines and neo architecture? 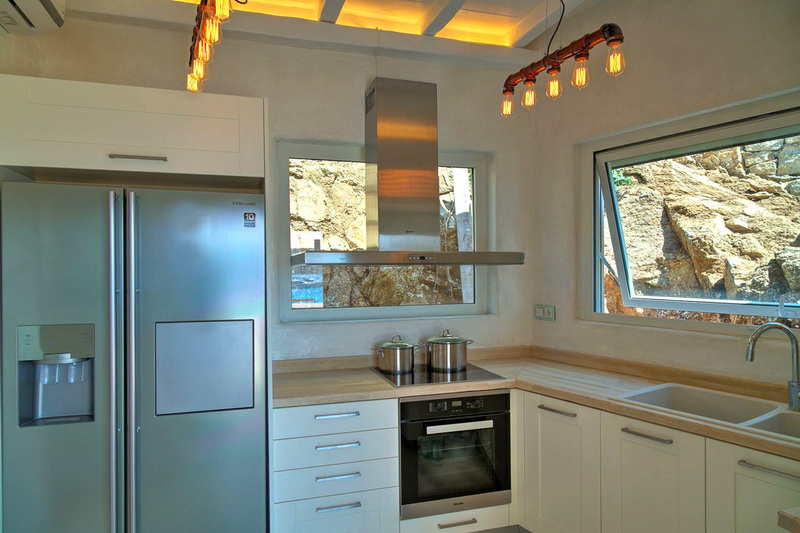 Perfectly located on the Platis Gialos sandy beach on the Southern part of the island, with also walking access to the small private beaches of Agia Anna and Paranga, your villa Artemide was designed for the lovers of minimalist decor, amazing for families or young couples traveling together. 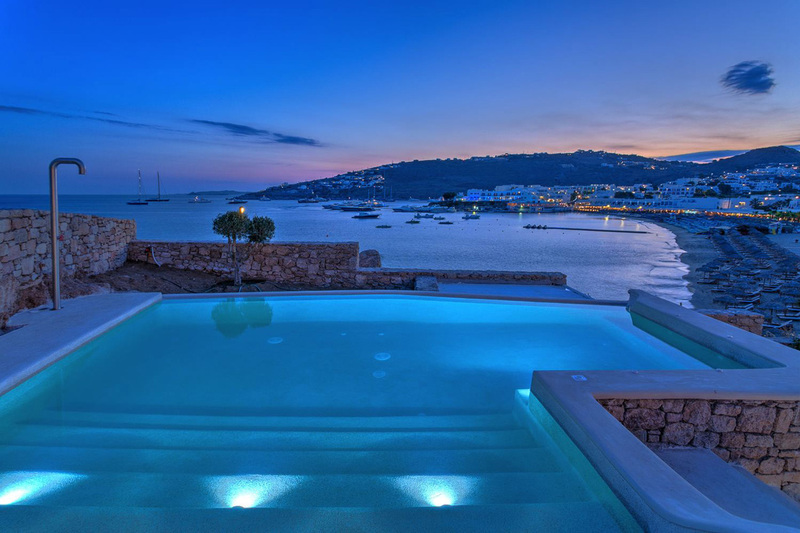 Entrance Level - Master Bedroom with double bed, A/C, en-suite bathroom with shower, sea view. 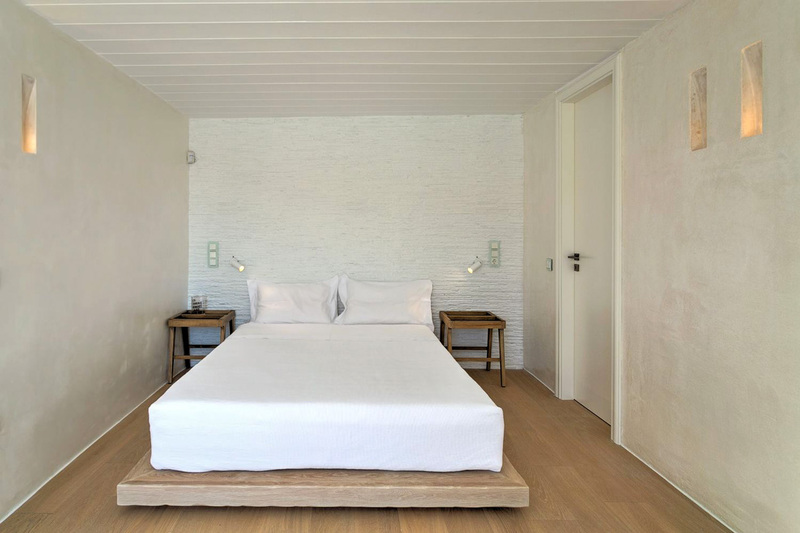 Entrance Level - Guest Bedroom with twin beds, A/C, en-suite bathroom with shower, lateral view. 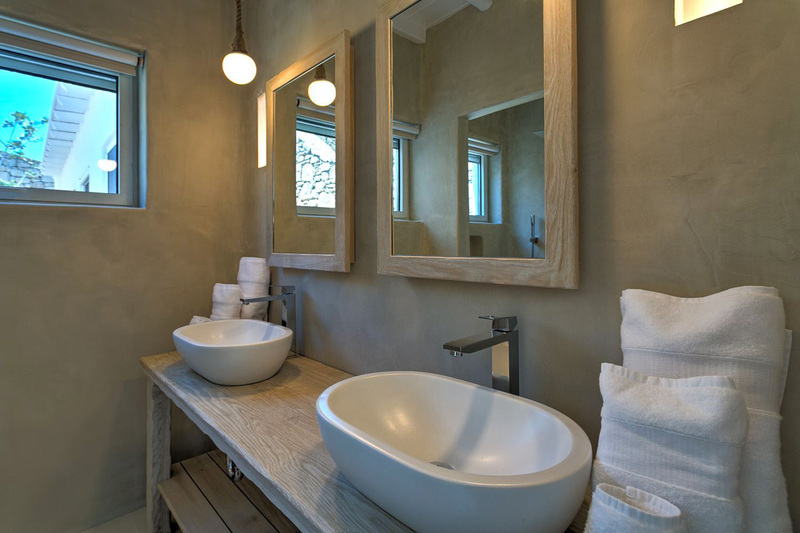 Entrance Level - Children’s Bedroom with twin beds, A/C, en-suite bathroom with shower, limited view. 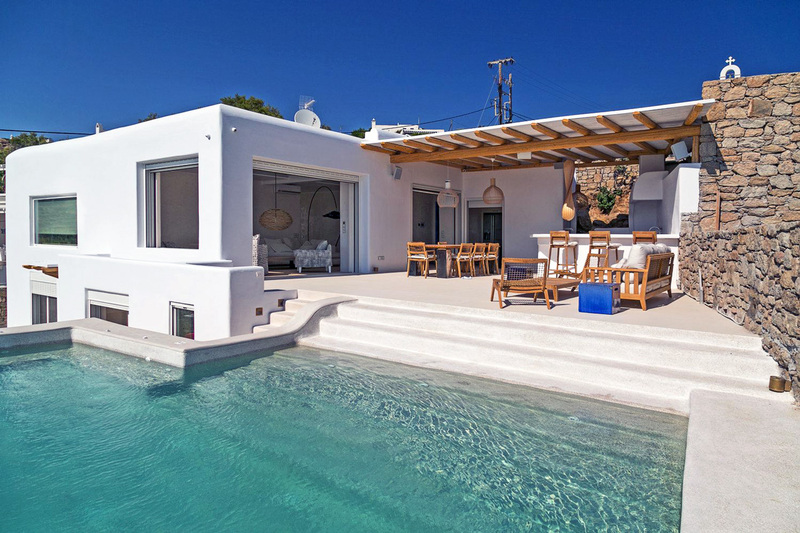 Lower Level - Guest Bedroom with double bed, A/C, en-suite bathrooms with shower, sea views. 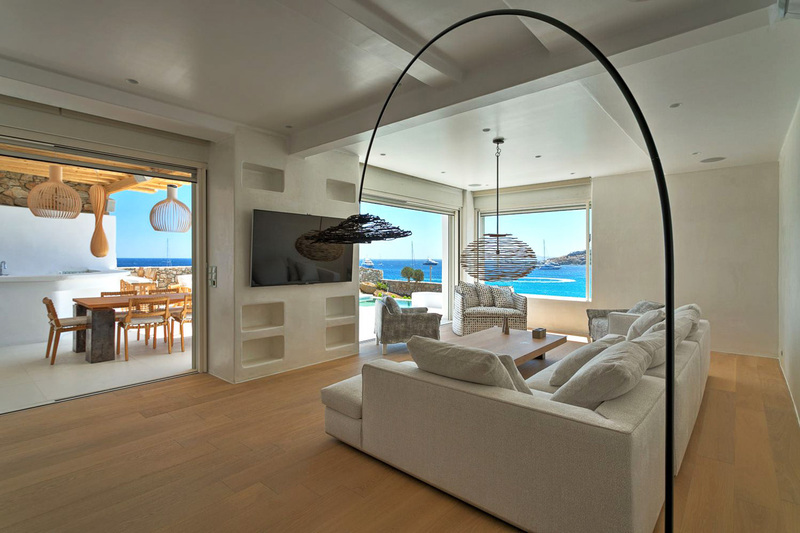 Independent entrance and can interconnect via a small hallway with bedroom 5. 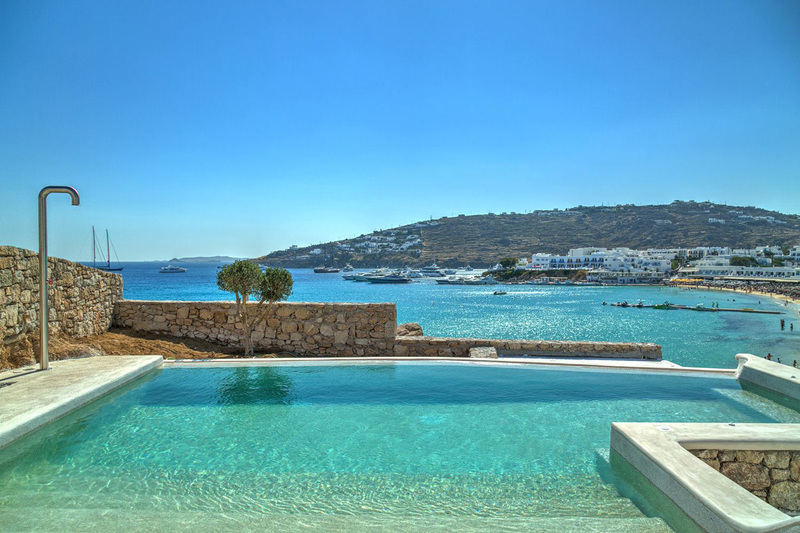 Lower Level - Guest Bedroom with double bed, A/C, en-suite bathrooms with shower, sea views. 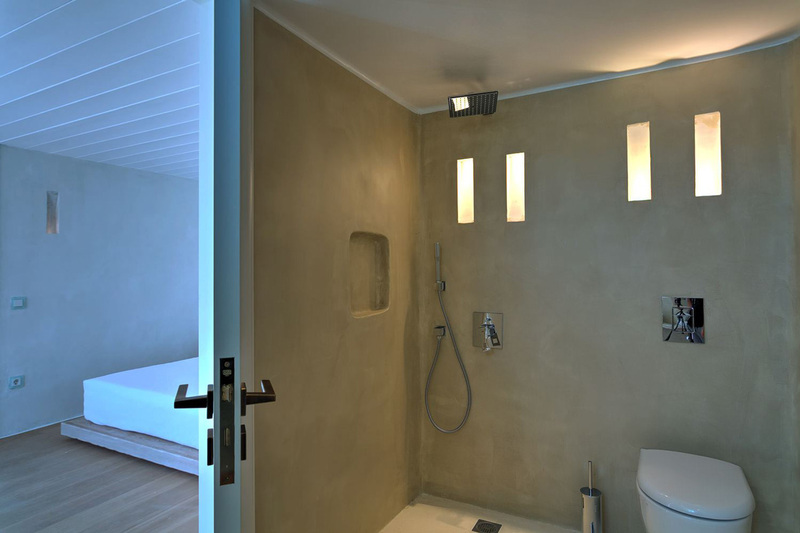 Independent entrance and can interconnect via a small hallway with bedroom 4. 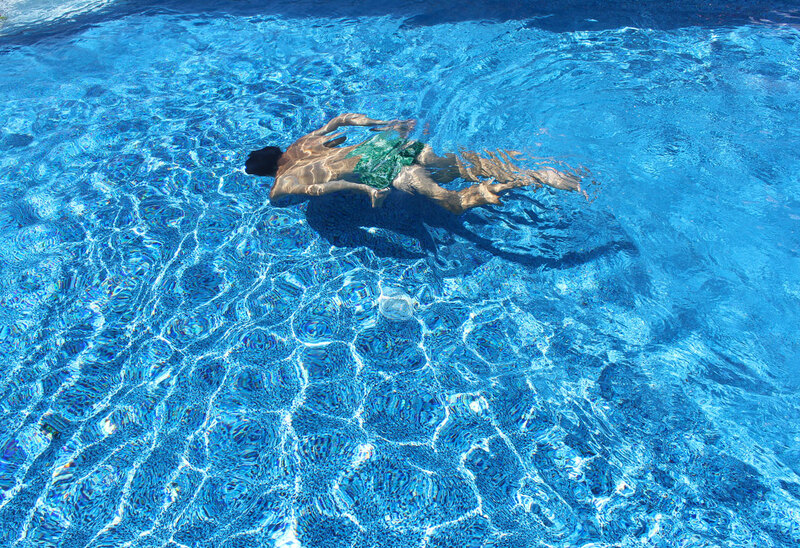 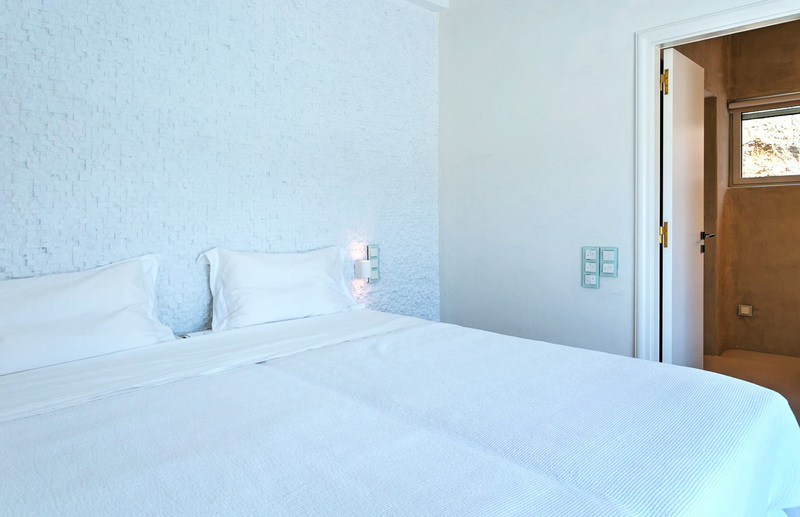 Stay at your villa Artemide, near Platis Gialos beach!